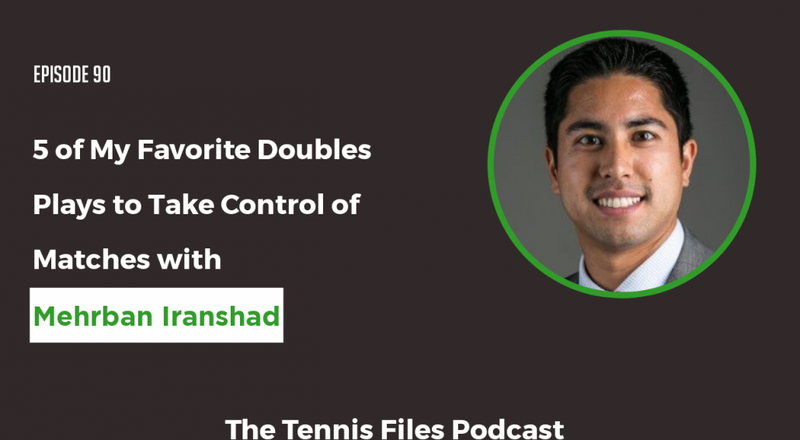 On Episode 90 of The Tennis Files Podcast, I walk through 5 of my favorite doubles plays that you should use to disrupt your opponent's rhythm and take control of matches. Maybe you've heard of some or all of these plays, but it is clear to me that not enough of you are using them to get the upper hand against your opponents. Most amateur players play the traditional formations and never switch sides or vary their positions on the court. This enables your opponents to get into a rhythm on the returns and serve. Now imagine facing a team where you never know which side of the court the net player and server will be. Doesn't that sound a lot tougher to deal with? If you're a doubles player or want to learn more about winning doubles plays and why to use them, then this is the podcast episode for you! I really hope you enjoy this solo podcast episode about my 5 favorite doubles plays to seize control of matches! Let me know what you think about this episode in the comments below!